Sports activities can be more about mental fitness than it is about physical stamina. From being aware of your pace and breathing to reigning in your stamina, you need to be present in the game at every minute. 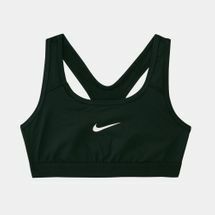 We, at Sun & Sand Sports, make sure that the only thing your kids have to worry about is choosing from the wide variety of sports bras for girls we have in our store. 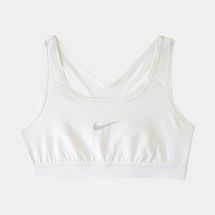 With our diverse range of perfectly fitting sports bras, your kids will enjoy being active any time of the year and will enjoy activites of varying intensity. These are a must-have for any wardrobe and will enable her to excel – both on and off court. 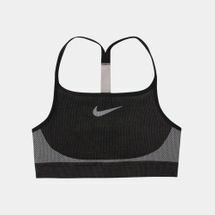 Our selection of premium sports bras for girls from the best and biggest brands in the world are engineered to give your young ones an edge over the competition, boosting her stamina and confidence without compromising on breathability and unrestricted movement. 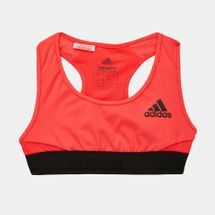 All the designs are made from lightweight fabric which will wick moisture away from your kids’ skin keeping them sweat-free and dry. 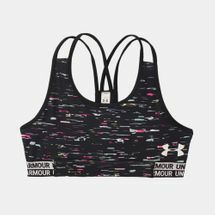 Choose from solid hues, vibrant tones and funky neon printed ones made from a variety of cotton and polyester blends like push up bras. 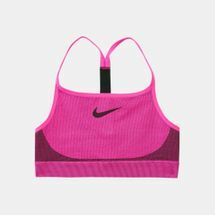 Browse through the latest range of kids’ sports bras and shop by sport or style, online with us today. 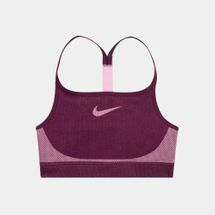 Choose from our exclusive and expansive range of sports bras for girls and shop online at Sun and Sand Sports, from the comfort of your natural environments, and get your order delivered straight to your doorstep in Kuwait city and all of Kuwait.